What can we glean about Stradivari’s early career from the surviving handful of instruments? If Stradivari’s personal life seems unconventional, as we saw in part 1, there is plenty of the outsider about his early work, too. 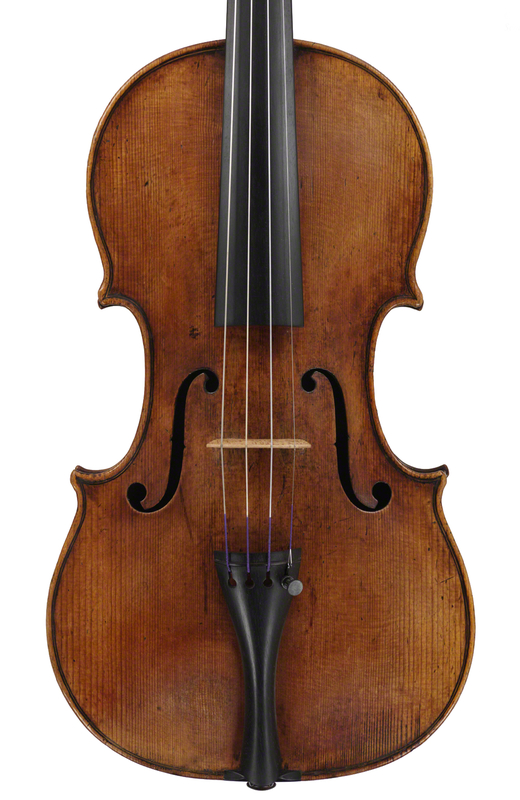 The ‘Serdet’, part of the Ashmolean Museum’s Stradivarius exhibition in 2013, is the first fixed point. This is the violin that contains the clear, unaltered label ‘Antonius Stradiuarius Cremonensis Alumnus/ Nicolaij Amati, Faciebat Anno 1666’. The last digit is added by hand, and the label has the faded traces of Stradivari’s brand, the ‘AS’ monogram around a cross, enclosed in a double circle. This brand is still extant, in the collection of Cremona’s Museo del Violino, and gives us some idea of Stradivari’s self-importance. None of his peers or precursors in Cremona felt the need to identify themselves so demonstratively. The occasions when he forgot to brand his labels are very rare. Charles Beare says in the Ashmolean catalog that a twin to the ‘Serdet’ exists, lacking the label and its original top. It may be that this was the other ‘Alumnus’ labeled violin of 1665 mentioned by Count Cozio. The 1666 ‘Serdet’ is among the most obviously Amatise of the early works, with fine, Nicolò-like soundholes, and a head already showing Stradivari’s slightly more forceful approach to the Amati template. 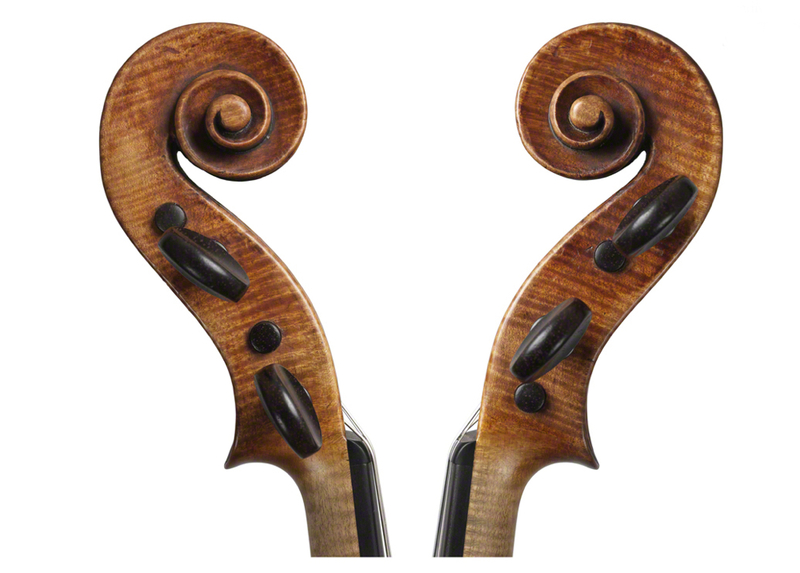 The purfling is firm and strong, neatly extended in Stradivari’s unique manner in the corners. The wood is quite attractive, but it is the native Italian ‘oppio’ maple, dark in color and with very narrow, horizontal flame. There is a small knot in the upper treble bout, and the grain is broad and the figure inconsistent. In fact this local field maple found most employment in the making of fence posts, according to modern forestry manuals. The corners are slender and elegant, but the arching is surprisingly full and most unlike Amati’s voluptuous forms. Most interestingly it is a unique pattern. 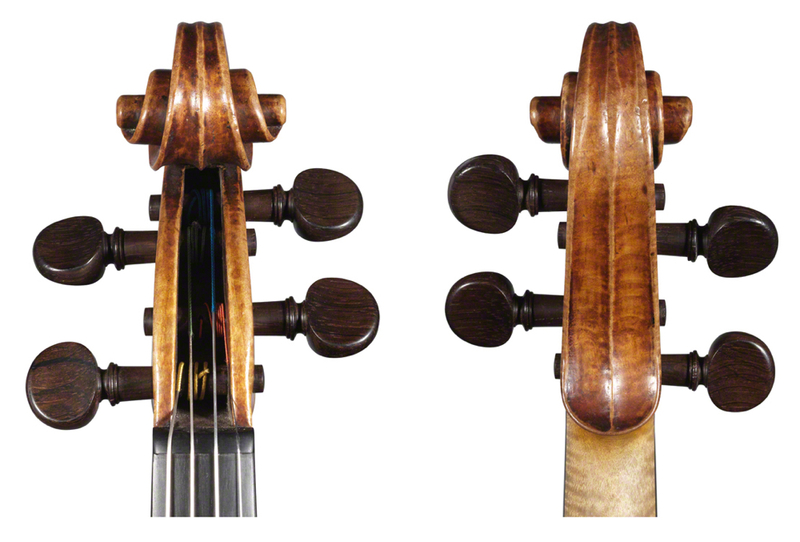 With a 356 mm back length, it is longer than Amati’s Grand Pattern but also narrower. There is no direct relationship in form to any Amati violin I can recall. The next interesting example is the c. 1666 ‘Back’, which lacks its original label but if anything looks slightly more primitive than the ‘Serdet’. It has a tightly flamed two-piece back, again of local oppio. The scroll is very Amatise, lacking the swelling behind the throat, the back of the pegbox having an unusually straight taper. There is exquisite workmanship in the delicate purfling, and the soundholes also appear very slender, but this is partly because of the distorting effect of the enormously high arching. 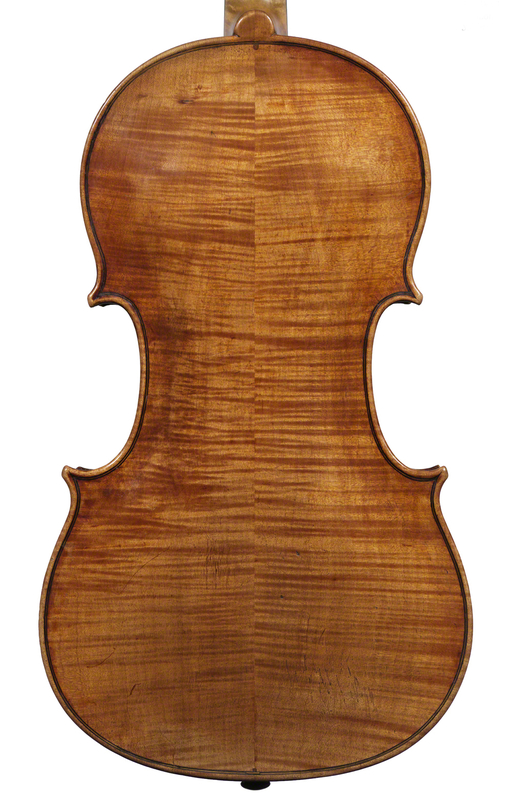 The ‘Aranyi’ of c. 1666 has the same two-piece, horizontal-flamed oppio back, but an interesting hazel-figured, one-piece front. 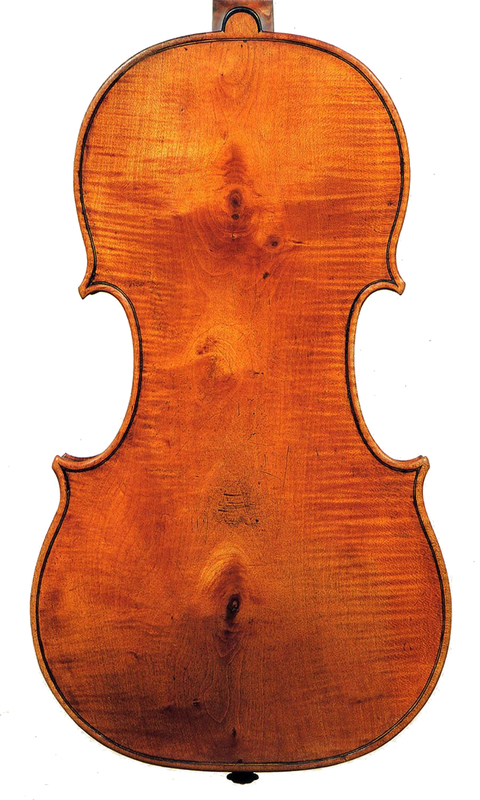 Single-piece fronts are very rare, especially among the Cremonese – I can think of no other examples from Cremona beyond the handful of Stradivari instruments that come mostly from this very early period; others include the c. 1680 ‘Saville’ and 1679 ‘Parera’. I wonder if in fact they were off-cuts of cello fronts, perhaps scrounged from other workshops. Even more odd is that Stradivari did not mind how the grain was orientated – it might be assumed that the broader grain in a one-piece top should go to the bass side, as it does in the ‘Aranyi’, but he was not consistent in this. I can’t get the idea quite out of my mind of the 20-something Antonio sneaking round the bins behind the Amati and Rugeri workshops. Oppio backs dominate in the early period and the few examples of what appears to be imported maple are mostly plain and cut on the slab. 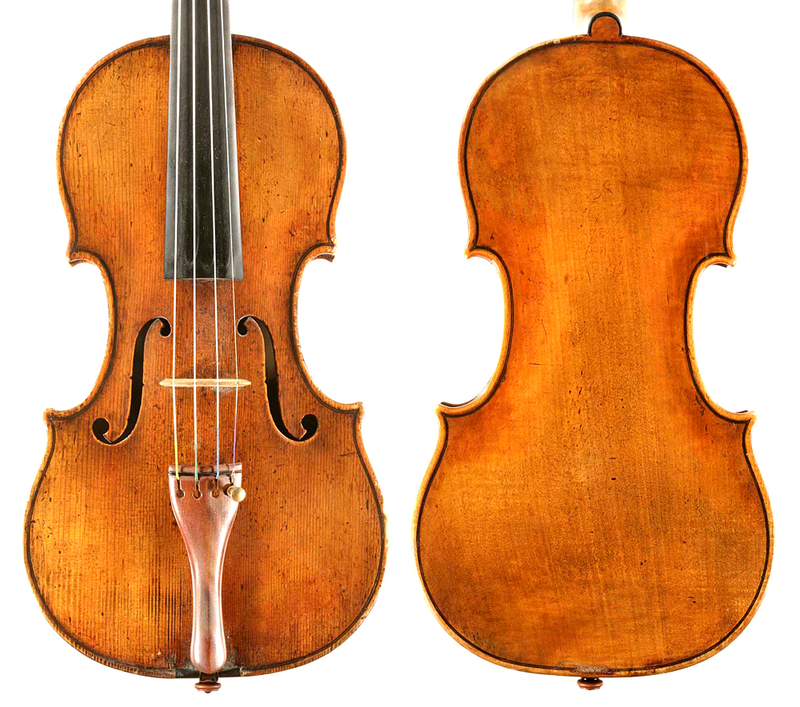 The most shocking examples are the 1667 ‘Jenkins’ and the c. 1670 ‘Tullaye’, which both have lightly figured slab backs showing the most eye-popping knots – they must have been evident in the boards before Strad even started sawing. It does not even appear that the wood is from the same log, as the curl and pattern of the backs is distinctively different, so he seems to have chosen this very poor material twice. Perhaps he did not have the luxury of choice. But it certainly gives a jolt to our modern idea of Stradivari as a perfectionist. To this we might add the 1672 ‘Mahler’ viola, which has a two-piece back of lightly figured poplar, and the 1673 ‘Du Pre’ cello, which is of one-piece poplar that lacks any figuring at all. I can’t get the idea quite out of my mind of the 20-something Antonio sneaking round the bins behind the Amati and Rugeri workshops. But why would such an obviously gifted craftsman be denied the proper materials of his trade? The name Rugeri adds another thread to this knotty ball of evidence. The 20th-century violin researcher E.M.W. Paul claimed to have found proof that Stradivari was the pupil of Vincenzo Rugeri, although that proof has remained tantalisingly out of sight (he died in 1966 before his research could be published). There is a lot to be said for this view on the basis of observation of these few early instruments. There is one important difference between Amati’s technique and that of Stradivari. This is the use of the small dorsal pin, or even just a pricked hole, that is invariably present in the work not just of the Amati, but of all their recognised pupils. It was obviously a fundamental step in the organising of the interior graduation of the back, a workshop practice that the Amati passed on through their own generations and those of their apprentices. But not Stradivari. To my knowledge there is not a single instrument of his that has this feature, and this is also the case for Rugeri. But this is no proof. How did Rugeri develop his technique? And what about all the other distinctive features present in the very earliest Stradivaris? 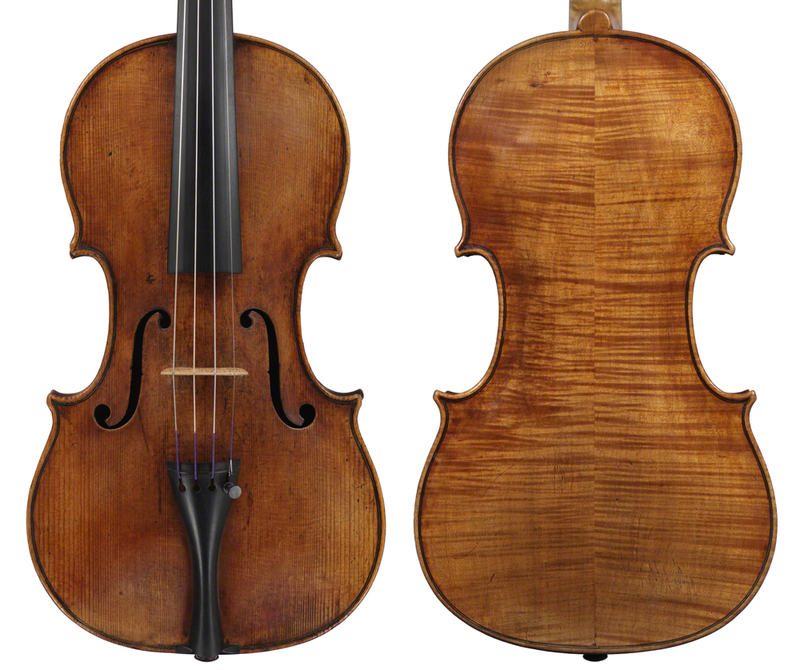 So much about his work is consistently unique to him – the purfling, the characteristically stout interior work invariably of willow, even the model and archings – that all we can fairly conclude is that Stradivari was exceptionally original and resourceful among his fellow luthiers. These instruments from 1666 to 1680 show a rapid development, and from a thoroughly original starting point. It is as if Stradivari had been saving all his resources in time and materials to make this breakthrough from night to day. The forms on which the early instruments were made were those marked ‘S’ (MS no.2) and ‘T’ (MS no.11) from the Dalla Valle collection in the Museo del Violino. The ‘S’ mould is slightly larger and provided the 356 mm back of the ‘Serdet’, ‘Aranyi’ and ‘Jenkins’. The ‘T’ form produced the slightly smaller back length of around 350 mm found in the 1669 ‘Clisbee’ and 1670 ‘Sachs’. In this way Stradivari preserved the Amati tradition of making two sizes of violin. Stradivari gathered momentum in his work during his second decade in the ‘Casa Nuziale’. 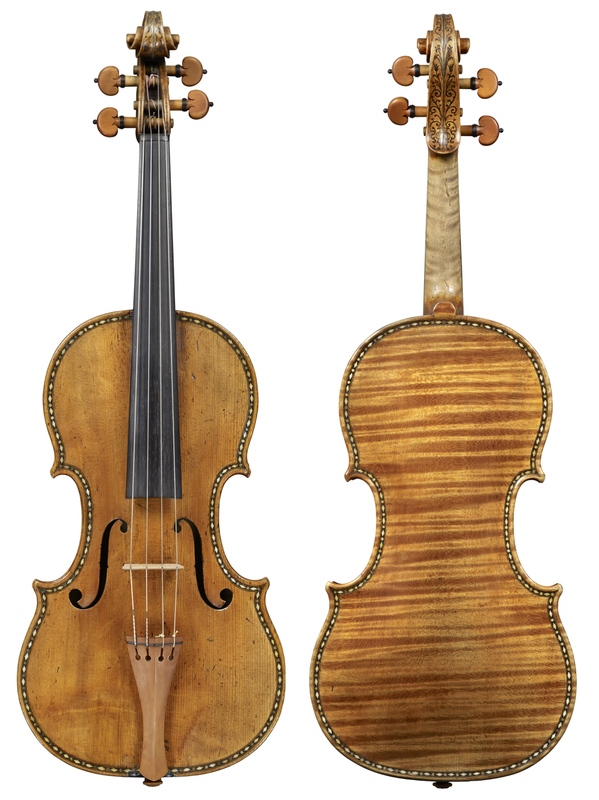 The c. 1671 ‘Oistrakh, Queen of Belgium’ violin, a smaller ‘T’ form instrument, is possibly the first to make use of ‘conventional’ imported flawless maple, quarter-sawn and jointed, with consistent figure. More oppio followed, often showing a similar and curious feature of heavily marked, curving grain on either side of the center joint. Then in 1677 comes the ‘Sunrise’, and never was there a more appropriately named instrument. It is dazzling from every point of view, as if Stradivari had been saving all his resources in time and materials to make this breakthrough from night to day. The first in his glorious sequence of decorated violins, it uses the very finest single piece of quartered maple with a dramatic unbroken flame as the platform for the intricate inlay of mother-of-pearl and ebony paste. It is obviously inspired by the two decorated Amati instruments from the 1650s (see part 1), but the extent to which Stradivari develops the inlay without drowning the instrument shows genuine artistry, not just phenomenal skill. What enabled Stradivari to make this leap is impossible to know. There seem to have been several years in which he produced little, or nothing that has survived. No labels are known at all from 1674, 1676 or 1678, during which time the infants in the household, Giulia, Francesco and Giacomo, were joined by two more babies, Caterina and Alessandro. The ‘Casa Nuziale’ must have been a lively place to work. But the ‘Sunrise’ was followed by the equally magnificent ‘Hellier’ in 1679 and with his move to the Piazza San Domenico the next year this enigmatic early period of his career comes to an end. Now aged 34, and middle aged by 17th-century standards, Stradivari began the 1680s with a new home and workshop and seemingly a fresh confidence. A new form, the ‘PG’, emerged, which produced the mature ‘Amatise’ instruments and defined his subsequent style. And, not least, he was about to embark on a cascade of stunningly beautiful cellos, with no shortage of the most vividly figured maple imaginable. Antonio Stradivari’s extraordinary mature years had finally begun.